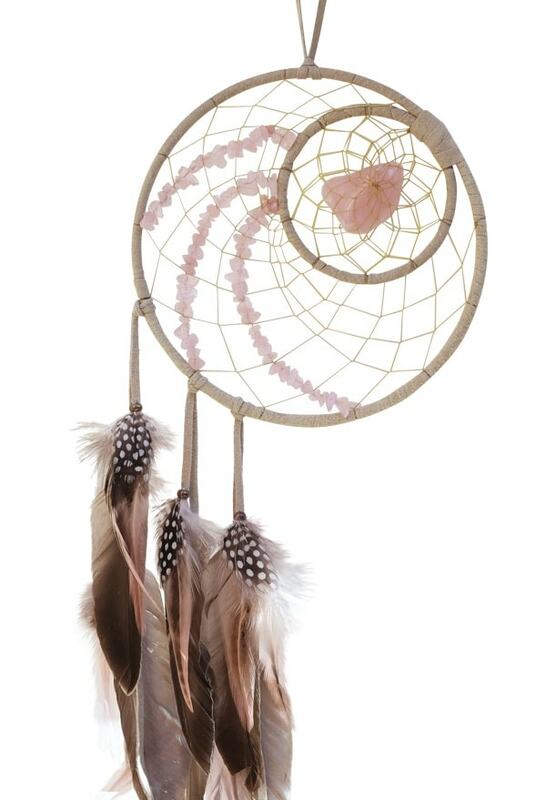 This beautiful Woodland Dream Catcher is detailed with three bands of Rose Quartz semi-precious stones in the webbing. A large Rose Quartz stone adorns the center of the webbing. The beautiful spotted guinea hen, duck and hackle feathers hang from the leather dangles.